Iranian parliament speaker on Sunday called for promotion of relations with Kazakhstan in all fields, including the economy, Trend reports citing IRNA. 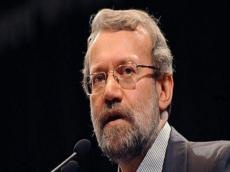 Iran and Kazakhstan should boost their cooperation in fields of banking, trade and tourism, Ali Larijani said. He made the remarks in a meeting with Askhat Orazbay, the new Ambassador of Kazakhstan to Iran. For his part, the Kazakh envoy welcomed further development of cooperation with Iran. He referred to inauguration of the first Astana-Tehran flight on Monday and noted that it is of high importance because there is no direct flight between Iran and Tajikistan, Uzbekistan and Kyrgyzstan.